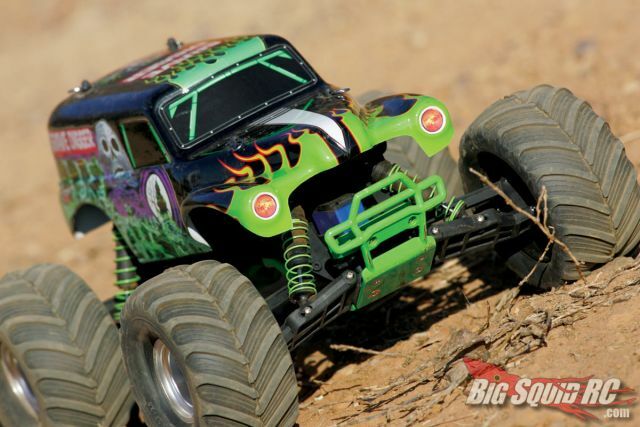 Traxxas lining up the Monster Jam lineup… « Big Squid RC – RC Car and Truck News, Reviews, Videos, and More! 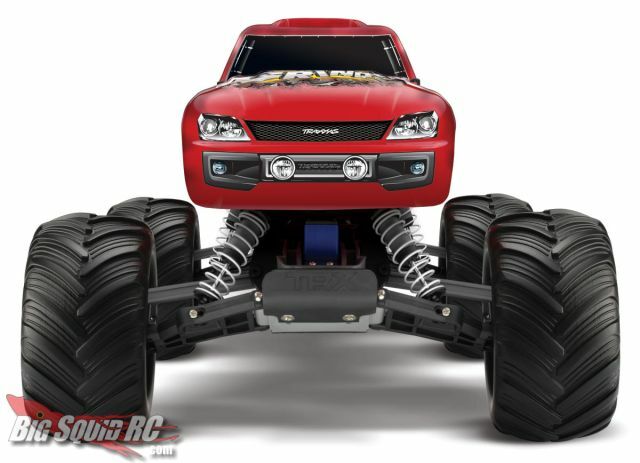 Traxxas seems to be big on the officially licensed stuff now-a-days. 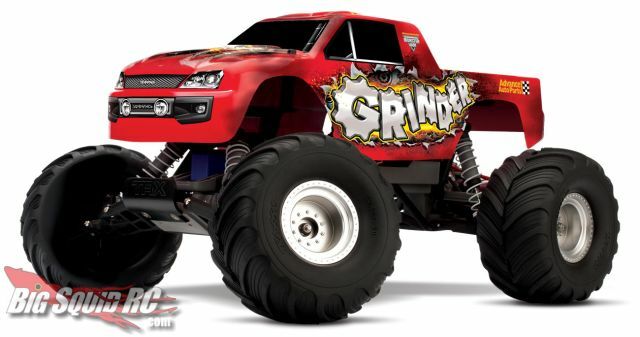 The jammin’ monster trucks of Monster Jam are next in line to receive the Traxxas miniaturization treatment. 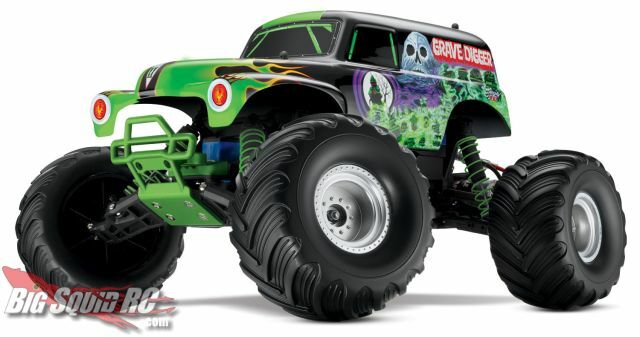 You can look forward to finding the Advance Auto Parts sponsored Grave Digger and Grinder right next to all the Stampedes on hobby shop shelves very soon. Traxxas didn’t stop at just the bodies though, they created a new set of wheels and tires to go along with them. The wheels are a faux bead-lock style and the tires have been designed to look like the hand-carved tires that all real monster trucks use. 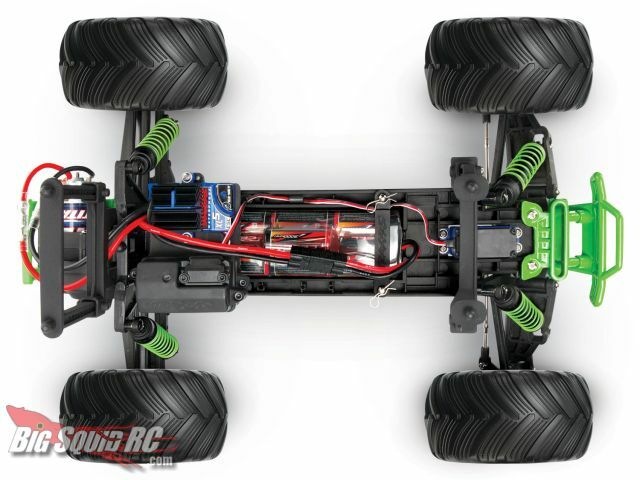 The electronics package will consist of Traxxas’ waterproof XL5 brushed speed control paired to a Titan 12T 550 motor and the TQ 27MHz AM radio system. A 7-cell NiMH pack and charger are also included. 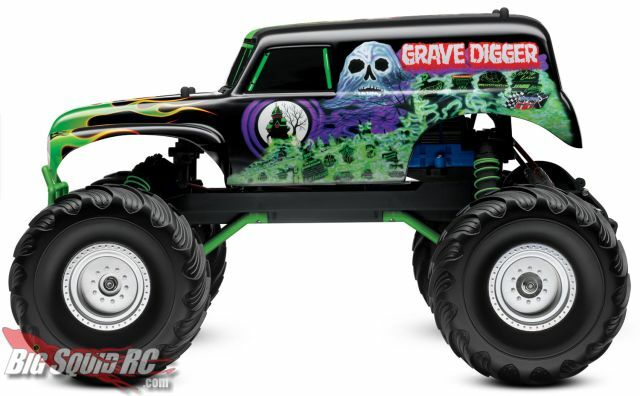 The announcement doesn’t go into much detail but from the looks of it Traxxas are using the old Stampede 2wd chassis as the basis of these new RTRs. 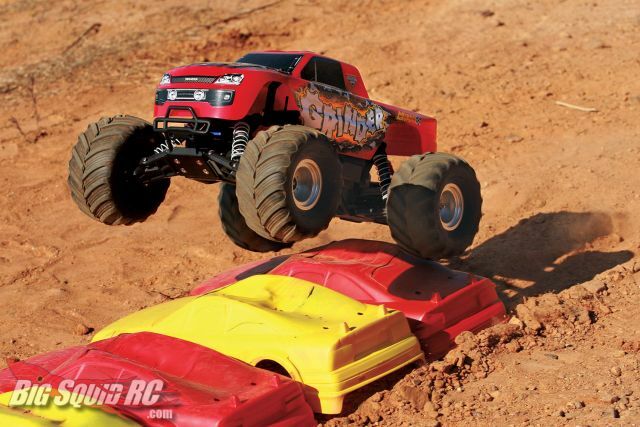 Hit up the Traxxas web site for more info.